What are tumor marker tests? These tests look for tumor markers, sometimes called cancer markers, in the blood, urine, or body tissues. 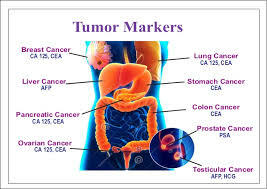 Tumor markers are substances made by cancer cells or by normal cells in response to cancer in the body. 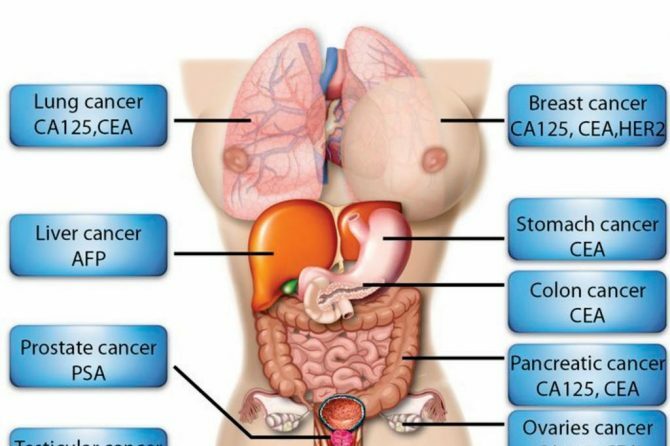 Some tumor markers are specific to one type of cancer. Others can be found in several types of cancers. Because tumor markers can also show up in certain noncancerous conditions, tumor marker tests are not usually used to diagnose cancer or screen people at low risk of the disease. These tests are most often done on people already diagnosed with cancer. Tumor markers can help find out if your cancer has spread, whether your treatment is working, or if your cancer has come back after you’ve finished treatment. Plan your treatment. If tumor marker levels go down, it usually means the treatment is working. Why do I need a tumor marker test? You may need a tumor marker test if you are currently being treated for cancer, have finished cancer treatment, or have a high risk of getting cancer because of family history or other reasons. The type of test you get will depend on your health, health history, and symptoms you may have. 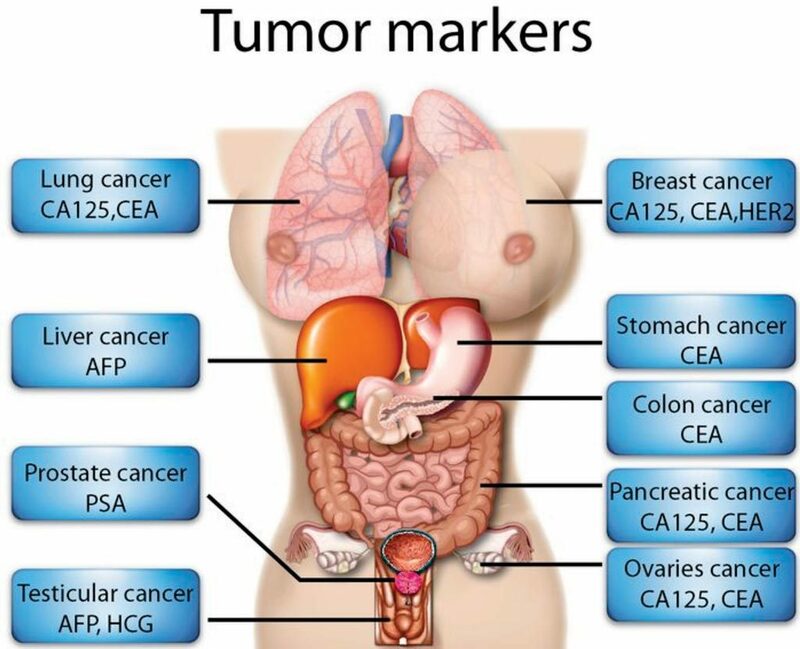 Below are some of the most common types of tumor markers and what they are used for. What happens during a tumor marker test? There are different ways to test for tumor markers. Blood tests are the most common type of tumor marker tests. Urine tests or biopsies may also be used to check for tumor markers. A biopsy is a minor procedure that involves removing a small piece of tissue for testing. If you are getting a urine test, ask your health care provider for instructions on how to provide your sample. If you are getting a biopsy, a health care provider will take out a small piece of tissue by cutting or scraping the skin. If your provider needs to test tissue from inside your body, he or she may use a special needle to withdraw the sample. You usually don’t need any special preparations for a blood or urine test. If you are getting a biopsy, you may need to fast (not eat or drink) for several hours before the procedure. Talk to your health care provider if you have any questions about preparing for your test. There is no risk to a urine test. If you have had a biopsy, you may have a little bruising or bleeding at biopsy site. You may also have a little discomfort at the site for a day or two. Help diagnose the type or stage of your cancer. Show whether your cancer treatment is working. Show if your cancer has returned after you’ve finished treatment. Is there anything else I need to know about tumor marker tests? Some noncancerous conditions can cause tumor markers. Some people with cancer don’t have tumor markers. Not all types of cancer have tumor markers. So, tumor markers are almost always used with other tests to help diagnose and monitor cancer.